Link Reit, Hong Kong’s first real estate investment trust, has been profiting from a legal grey area for years by letting more than 10,000 hourly car parking spaces to non-residents or other unqualified people, despite a shortage of spaces for existing tenants. Link currently owns 217 car parks providing 69,000 parking spaces at public housing around the city. Generally speaking, according to land leases, these parking spaces may only be let to residents or occupiers of the estate and their visitors. Link’s car parks are either managed by Wilson Parking or Urban Property Management. 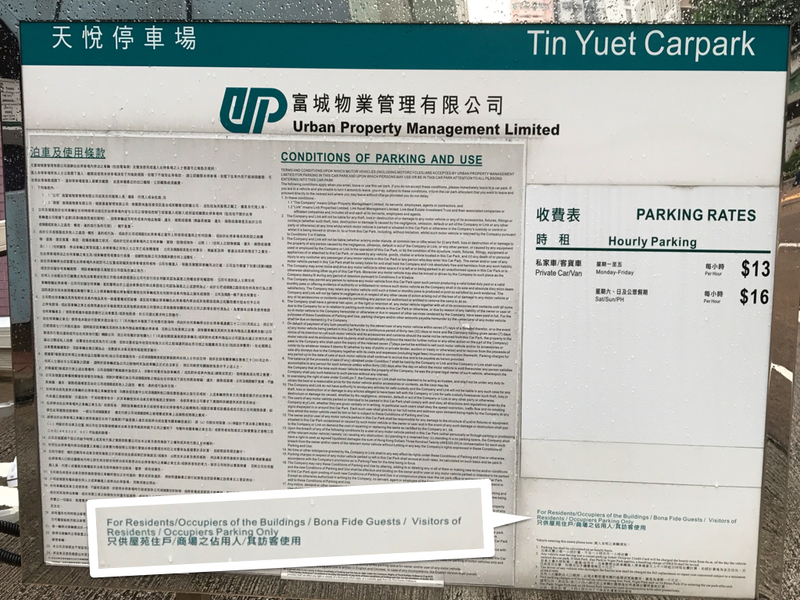 A notice outside the car park entrance of Tin Yuet Estate in Tin Shui Wai reminds users, in smaller font and at the bottom, that the parking spaces are only for residents, occupiers and their bona fide guests and visitors. Photo: FactWire. However, FactWire has visited 192 of the company’s car parks offering hourly parking and found that neither Link, nor its car park management companies, had done anything to restrict the use of some 14,500 hourly parking spaces. There are even parking discount schemes that appear designed to attract drivers from outside the estates. The government had said that, if Link were to let its parking spaces to unqualified people, it would need to pay waiver fees in exchange for temporary waivers of the relevant lease restrictions. When the company was ordered to pay the waiver fees retrospectively in 2010, one exempted parking space incurred, on average, a fee of about HK$11,290 each year. But it has come to light that in the past eight years, Link has only made one such application for a private car parking space, meaning that it may have dodged waiver fees to the tune of HK$163m. 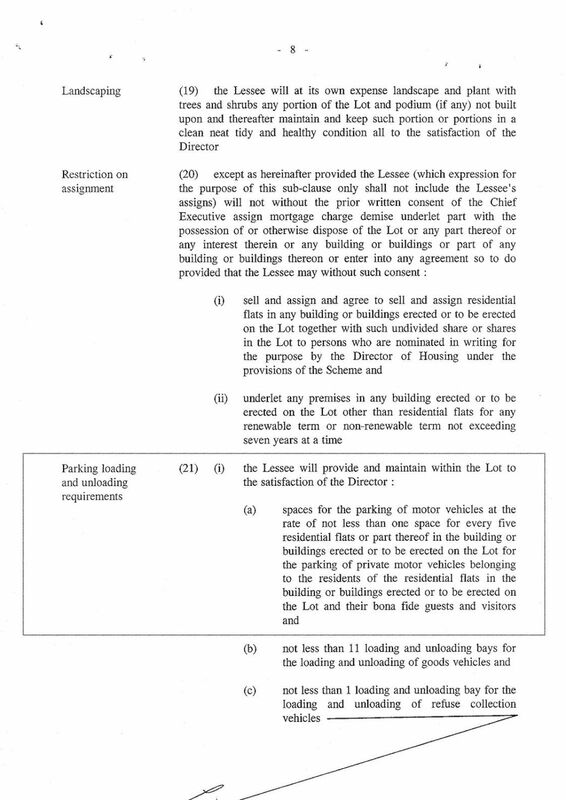 The “parking loading and unloading requirements” in the land lease of Tin Shing Car Park stipulates that the lessee must provide private car parking spaces “at the rate of not less than one space for every five residential flats” and that these spaces belong to “the residents of the residential flats in the building or buildings erected or to be erected on the lot and their bona fide guests and visitors.” Photo: FactWire. Of the 217 car parks owned by Link, currently 192 provide hourly parking. Under the section “Parking Loading and Unloading Requirements” in 146 relevant land leases, there are two types of conditions regarding the use of parking spaces. Some land leases also stipulate that some parking spaces must be provided for residents of neighbouring estates, occupiers of retail facilities and non-governmental organisations as well as their guests. 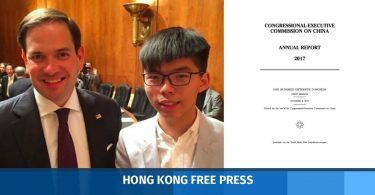 Duncan Ho Dik-hong, barrister and a member of the Progressive Lawyers Group, said an occupier refers to the owner or tenant of a residential or commercial property, as well as anyone whom they allow to occupy the premises. 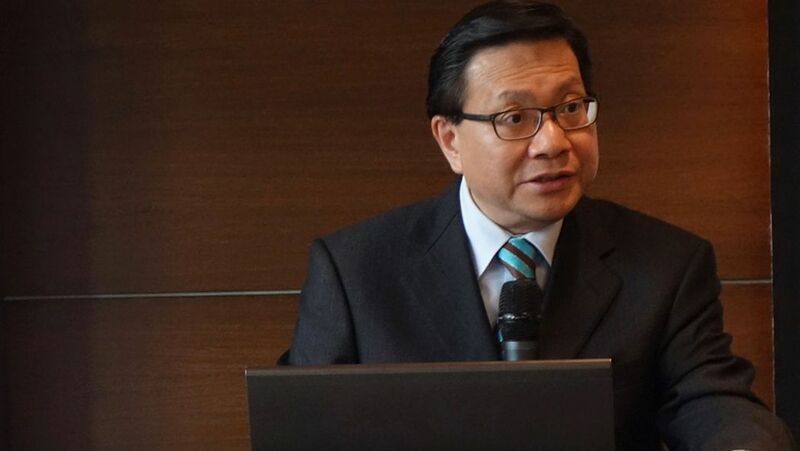 Duncan Ho Dik-hong, barrister and a member of the Progressive Lawyers Group, described the situation as a ‘grey area’ since the Lands Department never enforced the relevant lease conditions, while neither the government or the courts had clear guidelines on how the lessee could monitor who its short-term users were. Photo: FactWire. The 192 Link car parks that provide hourly parking are either managed by Wilson Parking or Urban Property Management. During the investigation since late August, all but two had notices at their entrances displaying parking rates, conditions of use and, in smaller print and at the bottom of the boards, reminders that only certain people are allowed to park. All the car parks have an automatic system that uses electronic passes or Octopus cards for entry and exit. Barriers were usually not guarded by security staff, and even if they were present, they made no attempts to verify the identities of users. In Tin Shui Wai, the land lease conditions of Tin Shing Car Park stipulate that only “residents of the residential flats in the building or buildings erected or to be erected on the lot and their bona fide guests and visitors” are allowed to park. A sign at the entrance also states that it is for residents and their bona fide guests and visitors only. But when FactWire visited the site from 10pm on 12 September to 1am the next day, we found that, of the 116 private cars and vans parked there, 36 were registered at addresses outside Tin Shing Court, including 25 from neighbouring private, public and HOS housing estates. In 2005, the Hong Kong Housing Authority hived off 180 retail and car parking facilities in public housing estates into the Link Real Estate Investment Trust for HK$33.8bn. The latter now manages 69,000 public estate car parking spaces. Photo: FactWire. Since 2008 Link has also rolled out different parking perks in an attempt to lure drivers to its car parks, providing 12-hour and 24-hour parking in 123 and 89 car parks respectively. “Anyone can park inside as long as there are empty spaces,” staff at various car parks told our undercover reporters, adding that there were no restrictions on who could use hourly, 12-hour or 24-hour parking. 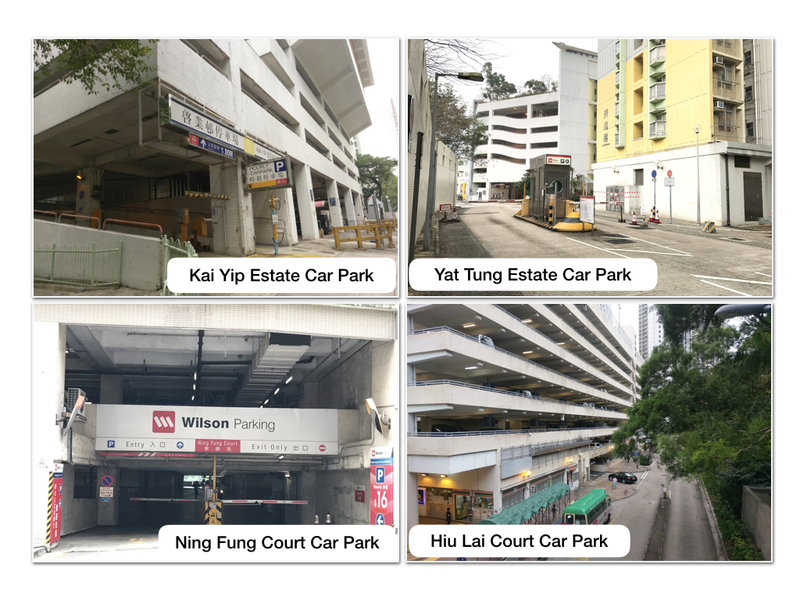 In mid-September, our reporters also managed to park at these car parks multiple times during peak hours and in the early hours after the attached shopping centres were closed. 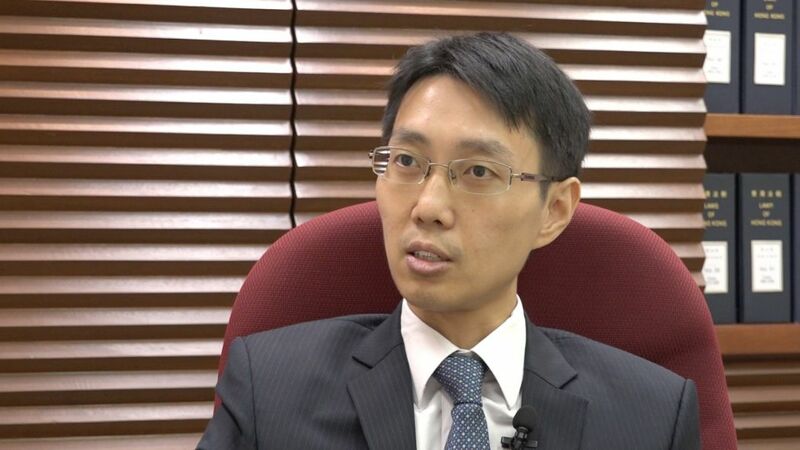 There is strong evidence suggesting Link did not comply with the land lease conditions on the provision of parking spaces, according to Ho, who specialises in land law. 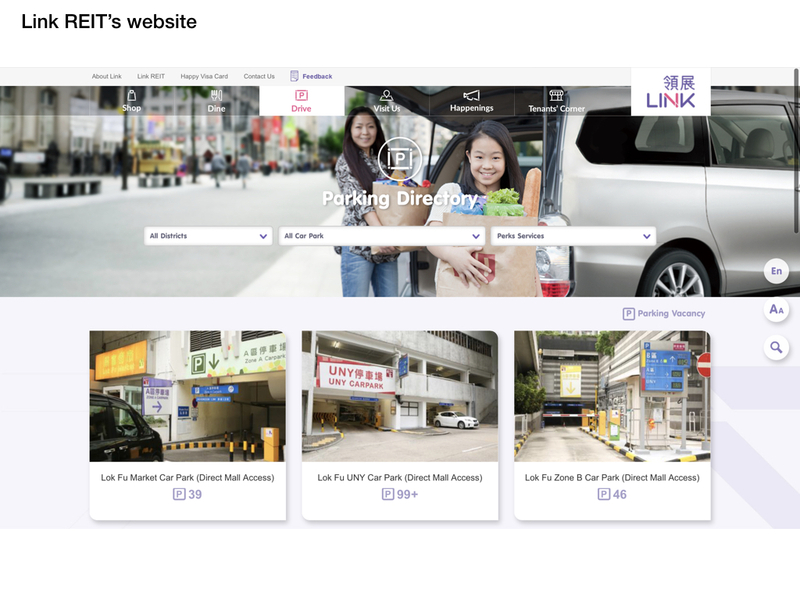 Since June last year, Link has partnered with MTR to introduce a “MTR park and ride scheme” that offers free parking hours to drivers who park at one of eight designated car parks, including Tin Shing Court in Tin Shui Wai, and ride on the MTR. Drivers are also required to make purchases at the attached shopping centres using the same Octopus cards. However, the land lease of Tin Shing Court clearly states that its car park is only for the use of residents and their visitors, meaning that, technically, neither retail tenants nor shoppers are entitled to park. “Link will have breached the relevant lease conditions if the scheme is intended to target shoppers or to attract people to shop before or after their MTR ride,” said Ho. 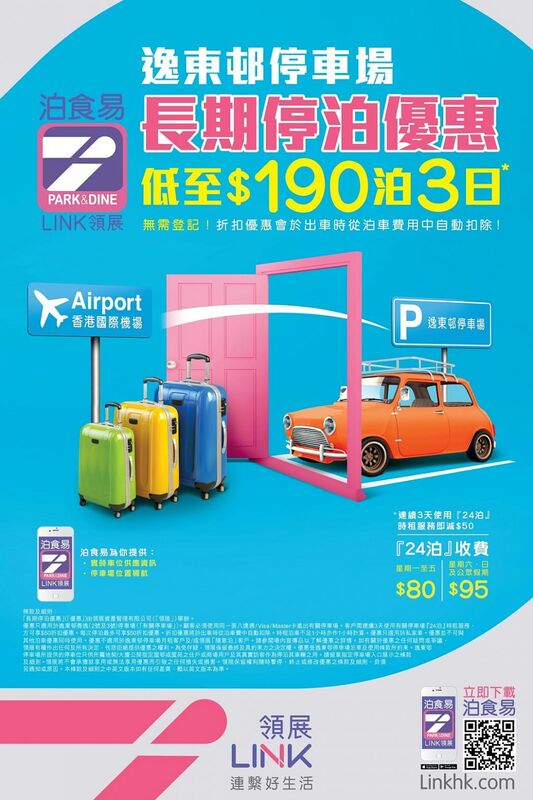 A promotional poster for “long-stay parking privilege” at Yat Tung Estate in Tung Chung features a road sign for the airport, three suitcases and a car. Photo: FactWire. Link may have also violated another land lease in Tung Chung by introducing a “long-stay parking privilege” at Yat Tung Car Park by offering discounts to drivers who park there for three consecutive days without having to make any purchases in the adjacent Yat Tung Shopping Centre. Promotional posters for the perk, which can be found on Link’s website, feature a road sign for the airport, three suitcases and a car. According to Ho, by implicitly targeting air travellers on its posters, Link may have breached the lease conditions for Yat Tung Car Park, which stipulates the provision of 1,753 parking spaces for residents of the estate, occupiers and their bona fide guests and visitors. When asked by FactWire if they were operating in accordance with the property owner’s requirements, both Wilson Parking and Urban Property Management declined to comment and referred our questions to Link. We then contacted Link asking whether the mentioned practices had breached relevant land lease conditions, whether it had adopted all practical measures to ensure its hourly parking spaces are only being used by qualified people, whether it would apply for the relevant temporary waivers for more than 10,000 hourly parking spaces it currently provides, and whether it would cancel the “MTR park and ride scheme” at Tin Shing Car Park and the “long-stay parking privilege” at Yat Tung Car Park. Link’s website shows the number of available parking spaces in each of its car parks. Photo: FactWire. Describing the situation as a “grey area,” he added that, on one hand, the Lands Department had never enforced the relevant lease conditions, while on the other, neither the government or the courts had clear guidelines on how the lessee could monitor who its short-term users were. “If the wording of the land leases is vague, from a business point of view, the lessee (Link) will of course try to take advantage of the grey area,” he added. Based on real-time information on Link’s website, FactWire has collected the numbers of available parking spaces at all of Link’s car parks that provide hourly parking for 70 consecutive days. A surveyor, who did not wish to be named, told FactWire that, since the Lands Department had never revealed the formula used to calculate the temporary waiver fee for each application, one could only estimate the total outstanding fees. According to a Legislative Council document in 2010 when Link was revealed to have let 700 parking spaces to non-residents on a monthly basis from 25 November 2005 to 30 September 2009, the Lands Department demanded the company pay a total of HK$30,295,690 in outstanding waiver fees, meaning that on average each parking space cost HK$11,290 per year. If the Lands Department demanded Link pay for the mentioned 14,500 hourly parking spaces in a similar fashion, it would incur annual waiver fees to the tune of HK$163m. A former senior management member at Link, who asked to remain anonymous, said that because the company had converted fixed monthly parking spaces to unfixed “floating” ones in recent years – so that temporary users can park on spaces where their permanent tenants have left – it had become impossible to tell whether a parked car is on a monthly or hourly rate and thus, the identity of its owner. Since 2012, Link has gradually replaced fixed monthly parking spaces with floating ones in most of its car parks. This has not only made it difficult for the Lands Department and the public to monitor whether Link has complied with the requirements in land leases, he added. It also allows Link to take advantage of the legal grey area to lure more “outsiders” with discount schemes. Anthony Cheung. File Photo: GovHK. In 2016 the Transport and Housing Bureau was asked by Legco lawmakers about Link’s increasing provision of 12-hour and 24-hour parking spaces as well as what mechanism was in place “to monitor and investigate” if the company had breached the relevant lease conditions. The then secretary, Anthony Cheung Bing-leung, replied that although “land leases generally do not restrict the mode of operations of the car parks, such as letting of the parking spaces on an hourly or monthly basis,” Link “must comply with the lease conditions as the owner of the properties” or otherwise it must apply for temporary waivers and pay the relevant fees. The lawmakers also repeatedly requested the Lands Department to provide separate figures on temporary waiver applications from Link which specifically involved changing the number of parking spaces, only to be rejected citing time constraints and administrative reasons. The department merely revealed that, from 2010 to May 2016, it had approved 96 waiver applications from Link, with one more still being processed. The bulk of the applications involved some 900 parking spaces and, for 2015 alone, waiver fees to the sum of HK$11m. However, for the first time since the Housing Authority divested its public assets to Link in 2005, FactWire has obtained details of all of its temporary waiver applications through a Code on Access to Information request. According to records provided by the Lands Department, from 2010 to May 2017, Link submitted a total of 129 such applications concerning 122 housing estates, including 33 that were eventually withdrawn or terminated. In all the 96 applications that either have been or are still being processed, only one private car parking space, which is at Sha Kok Estate in Sha Tin, has been exempted from its user restriction and is rentable for non-residents. Housing Authority. File photo: Wpcpey via Wikimedia Commons. FactWire asked both the Housing Authority and the Lands Department whether Link has breached land lease conditions in how it operates its car parks, and whether the authorities will ask the company to apply and pay for relevant temporary waivers for the past eight years. 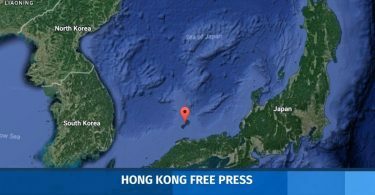 The Housing Authority’s press office said that “Link must comply with relevant regulations and land lease conditions” and referred our questions on land leases to the Lands Department, which did not comment before this story went to press. 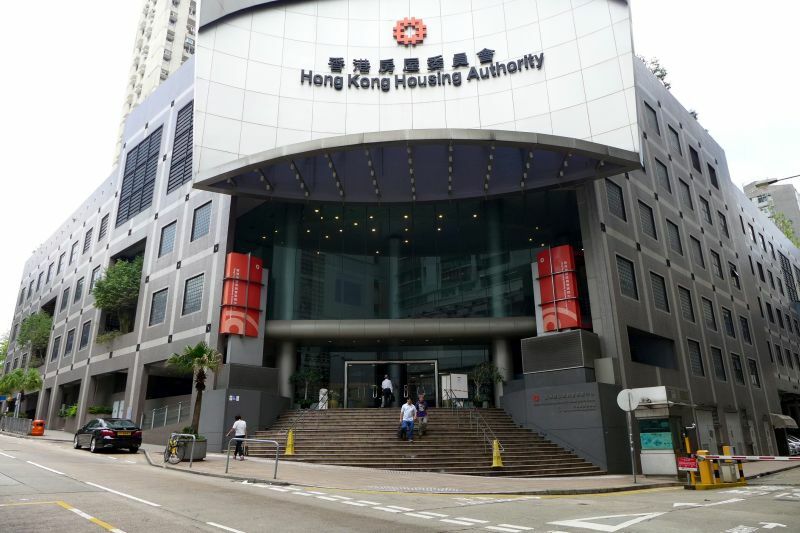 In 2005, the Hong Kong Housing Authority hived off 180 retail and car parking facilities of its public housing estates into the Link Real Estate Investment Trust for HK$33.8bn. But since 2014, the latter has already disposed of 28 shopping centres and car parks with only 152 assets remaining in its property portfolio. 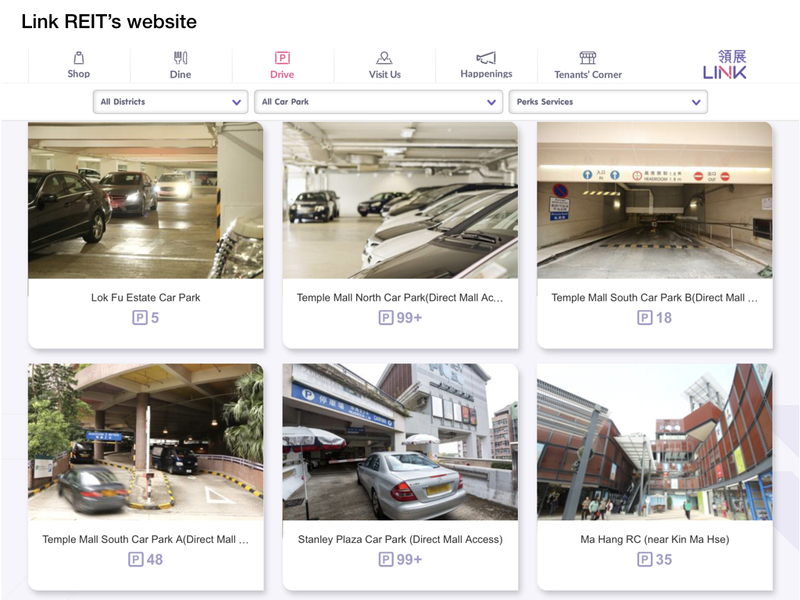 According to Link’s 2016 annual report, it now manages 69,000 public estate car parking spaces with a total revenue of HK$6bn from car park rentals, a quarter of which came from hourly parking, amounting to HK$484m. After the Veto: Umbrella Movement 2.0?